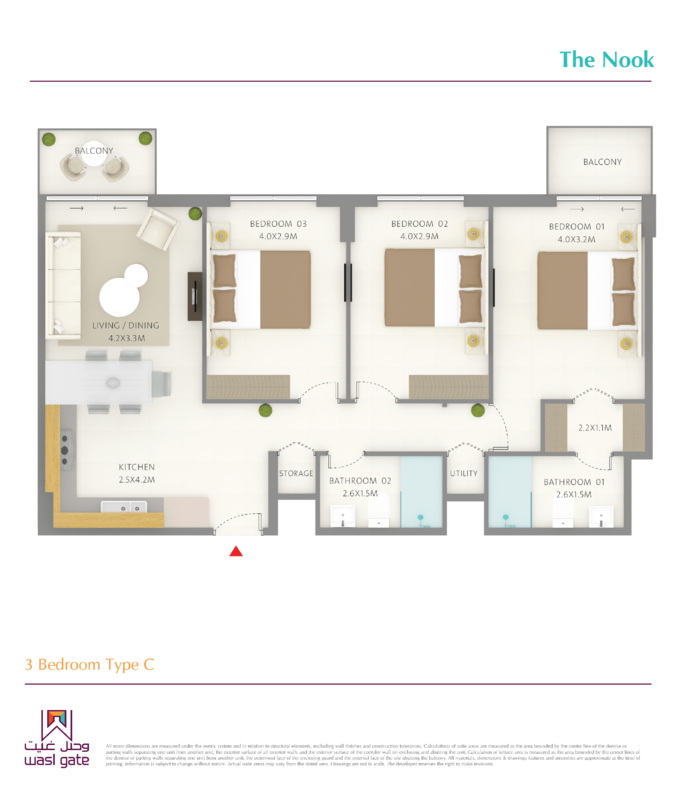 Contemporary, homely apartments are the hallmark of The Nook. Choose from a studio, 1, 2, and 3 bedroom apartments that match every budget and taste, featuring all the amenities you need for a comfortable lifestyle, including pool, state-of-the-art gym, kids’ play area, and lush landscaping. Take your first step towards your dream apartment. Make your home in The Nook. The above floorplans are for illustrative purposes only. These floorplans are intended to convey the concept for the development/apartments.